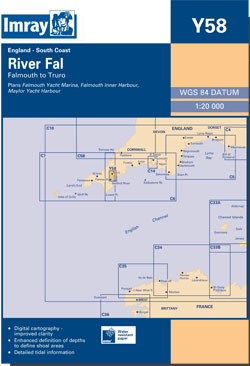 Approaches and entrance to Falmouth and the River Fal, and all the way up river to Truro. Scale: 1 : 20,900. Larger scale inset of Falmouth Yacht Marina.